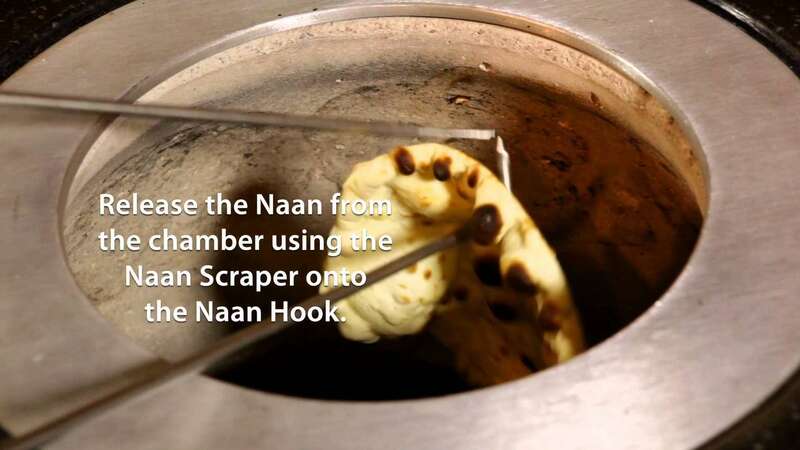 This custom made Naan hook and scraper are used to retrieve naan being cooked directly on the inside wall of your tandoor. 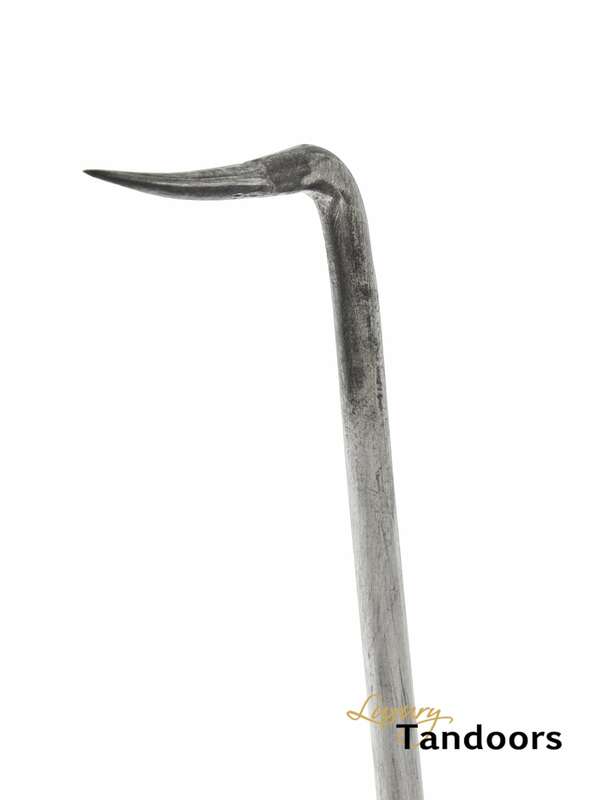 You get a set of two, one with a 90 degree hook and the other with a flat scraper. Length is 1 meter or about 39 inches and will keep your hands far away from the heat. 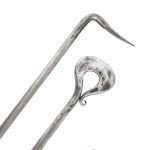 Made from Forged Stainless Steel. 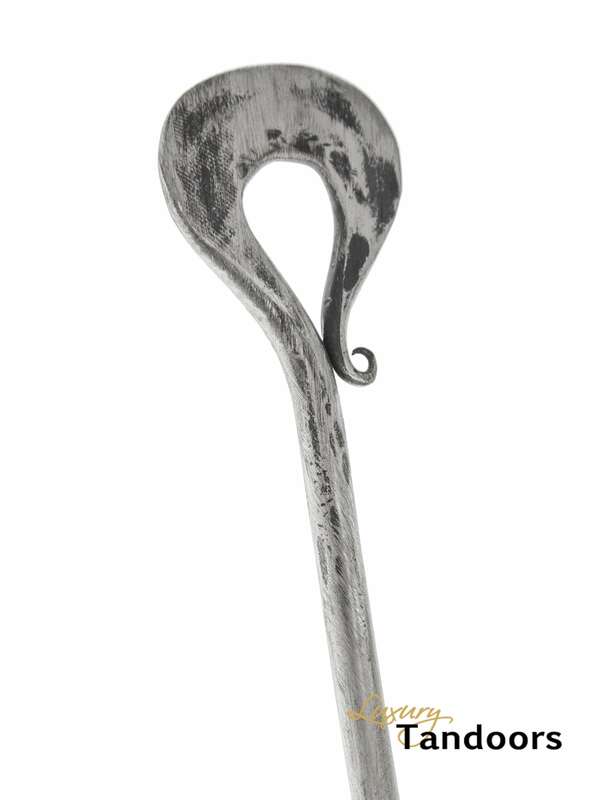 This beautiful lid and accessory stand is a fine complement for any tandoor. 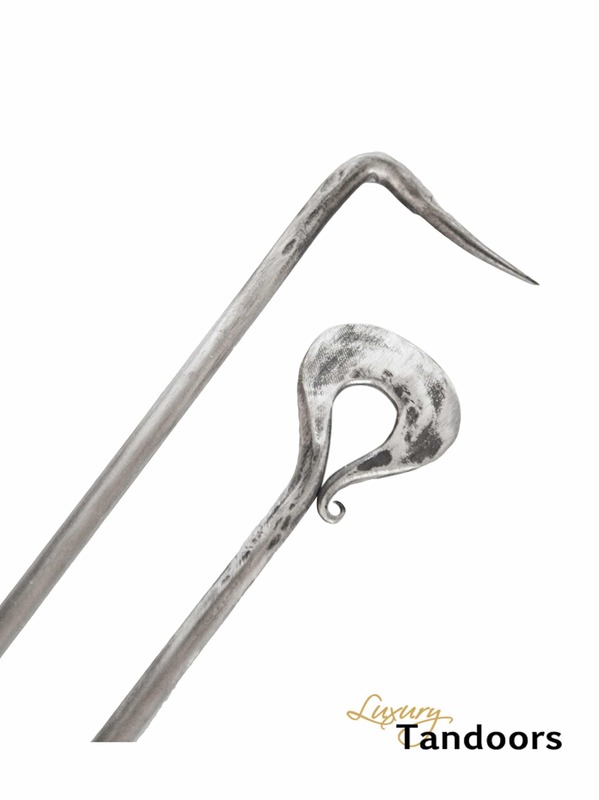 The fine metal work and artistry perfectly complements the design of all of our tandoors. Use it to support the tandoor lid while you are loading, unloading or just enjoying the aromas rising from your tandoor while cooking. 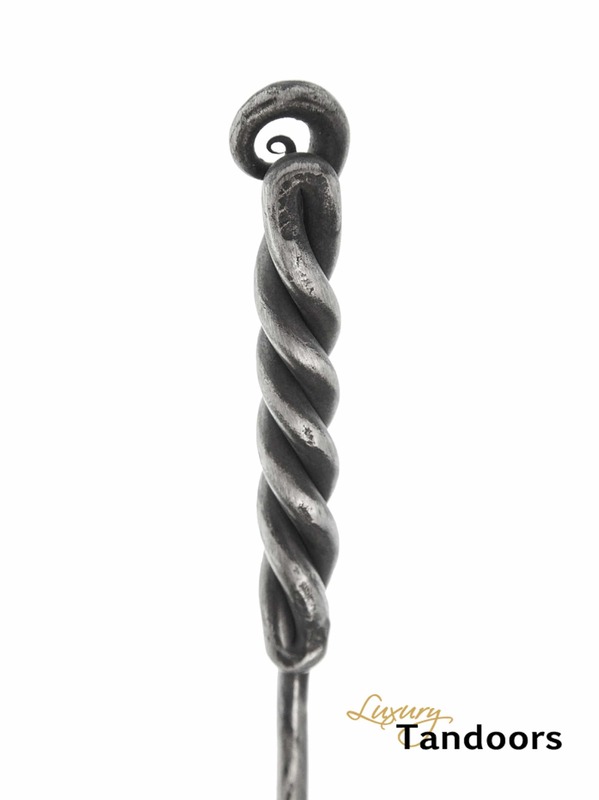 The stand is also perfect for hanging many of the accessories that can be used with your tandoor including the ash scraper, shovel, skewers and others. Price includes the lid stand only. 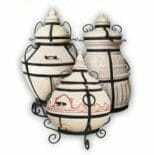 The Ceramic Chicken Roaster is meant to be used with our large 1-tier rack. Cook a whole chicken from the inside and out while protecting the legs from charring. 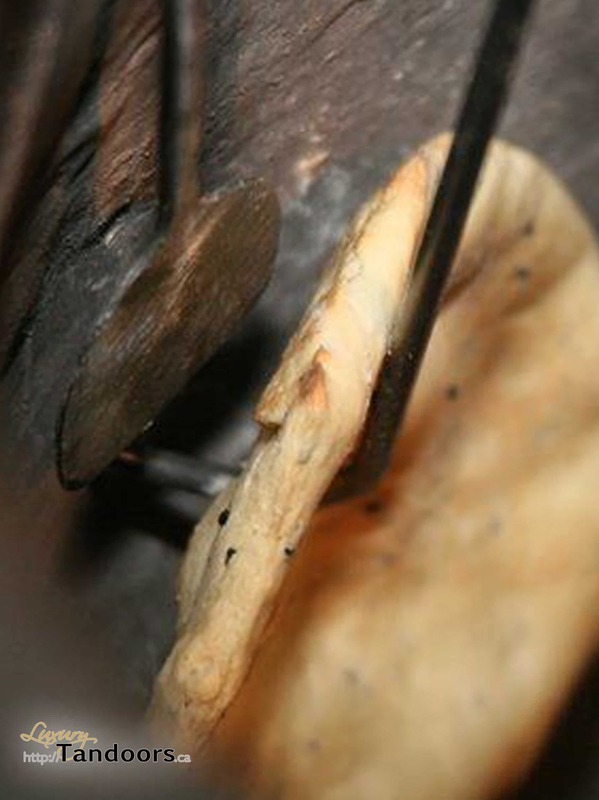 You will have a perfectly roasted tandoor chicken every time. Keep your tandoor dry and free of debris with our custom sized water resistant covers. There is a custom size available for all of our tandoors. 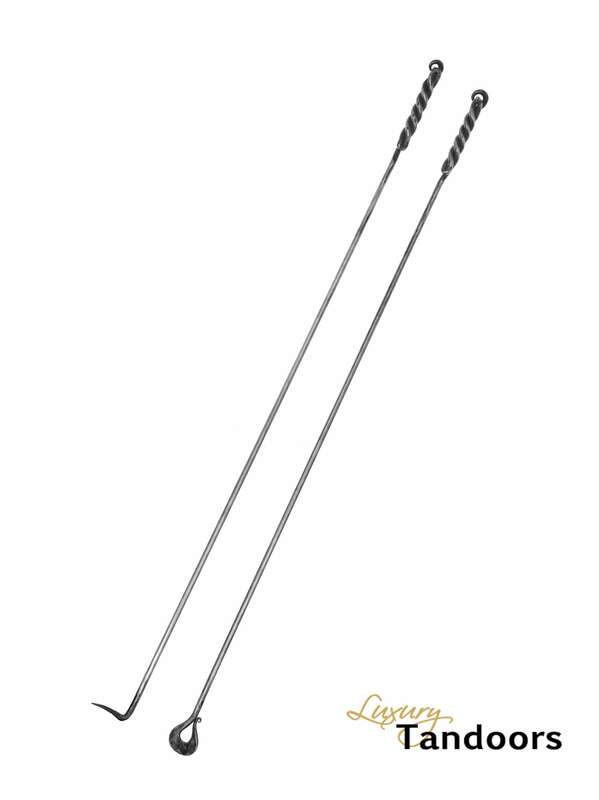 The fish grilling rack is perfectly shaped for cooking a whole fish or side fillet. Just season your dressed fish, place inside the rack and hang it from your skewer rack. Tandoori fish will be on your plate in no time. Intended for use in Aladdin, Oriental, Ataman, Antique, Khan, Saka, Aladdin Mini and Chief. The baking stone is available in two sizes. Either for the large or medium sized racks, and is perfect for cooking pizza, bread or even fries. Price includes one large sized stone.